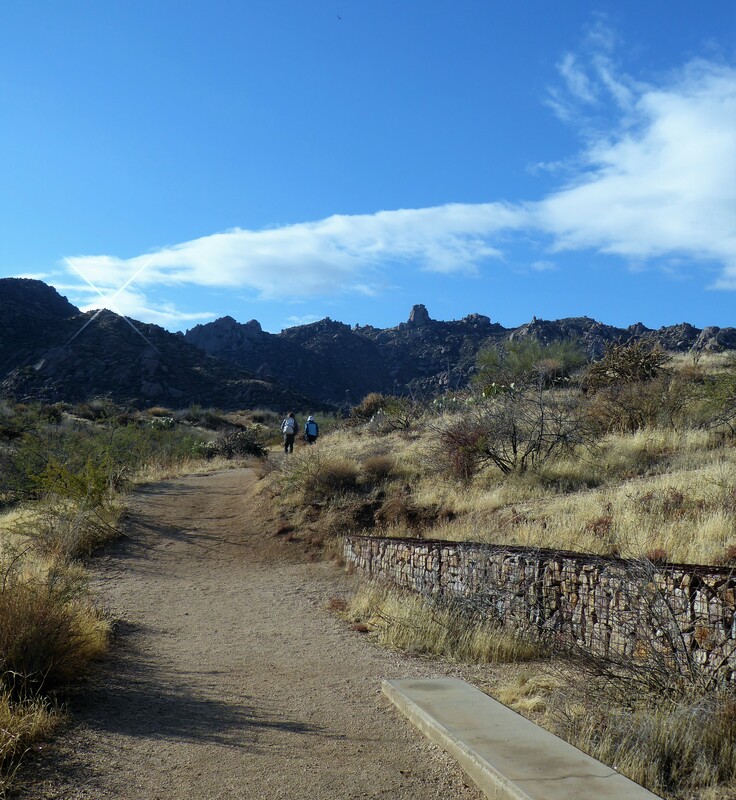 Tom’s Thumb is a landmark that local Phoenix hikers love to hike. 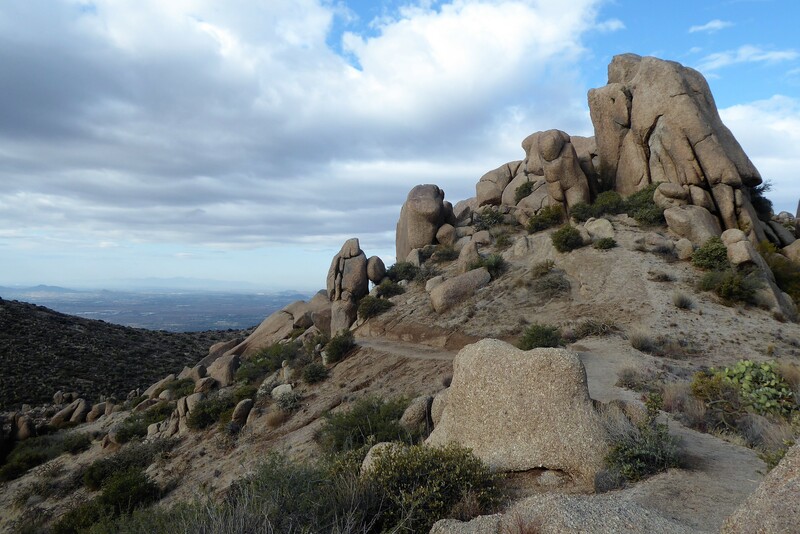 This is a popular trail in the McDowell Mountain Range that leads up to a tall rock formation which looks like a huge thumb sticking out on top of the mountain. 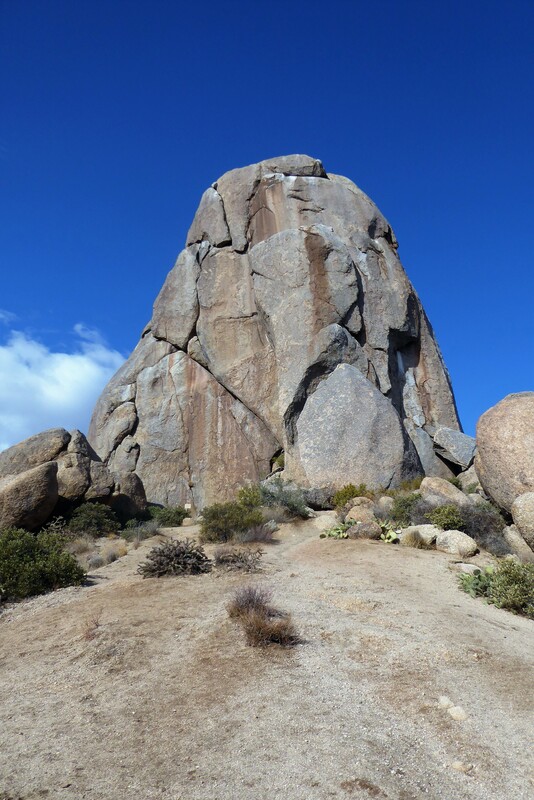 This huge rock formation, is known as Tom’s Thumb and was named after Tom Kreuser, who was a local rock climber from the 60s. He helped to inspire others to use this landmark as a climbing spot and the park has created routes for rock climbers to scale up to the very top. Regardless of whether you rock climb or not, this is a beautiful trail to hike. 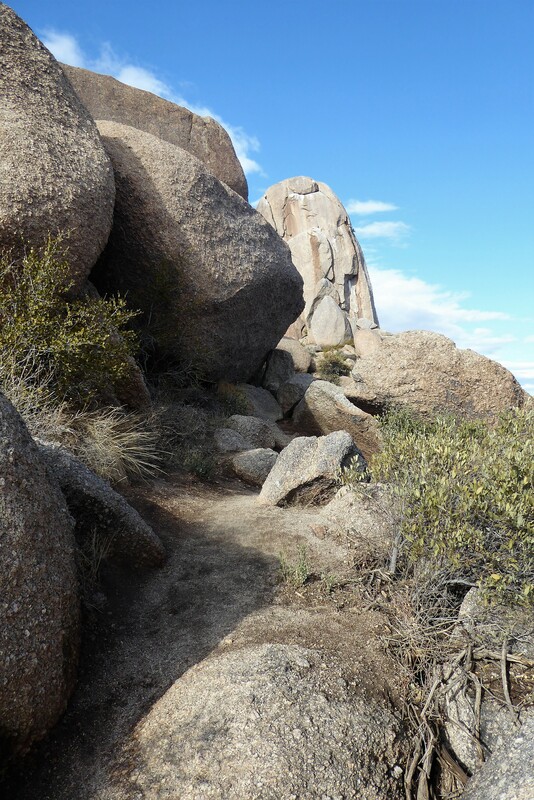 To avoid any confusion, there are two different trails named, Tom’s Thumb in the McDowell Mountain Range. This trail write-up is starting from Tom’s Thumb Trailhead, which is located off of 128th Street which is the more popular and direct route to Tom’s Thumb. Tom’s Thumb is easily recognizable and will be greeting you as you walk towards the trail-head (which is located right behind the restrooms). As you boldly stand there on the ground looking up at this huge boulder in the sky it really brings into perspective of just how little we are. This formation was created over a billion years ago while us humans have only been on this planet for 200,000 years. It begins to feel as if you’re an ant walking up to this huge massive ant hill, awaiting for a view of this big wild world that surrounds us. 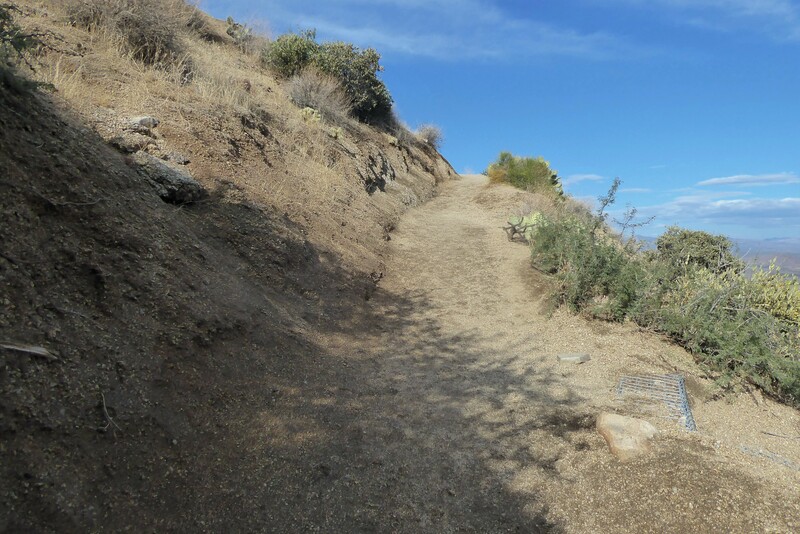 The trail begins relatively flat and traveling towards the mountain, with birds and wildlife scampering around on the desert ground in between the cactuses. As the path gradually starts inclining there are unique rock formations emerging around the trail. The gradual incline becomes steeper and will remain this way for about the first mile. The dirt path is wide, which allows hikers to easily hike up and down at the same time together. 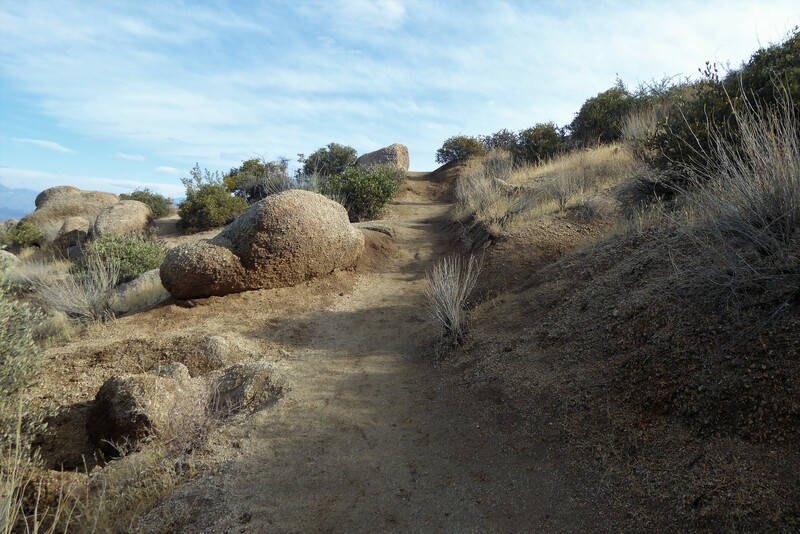 Although the first mile may be the most challenging part of this trail, the path remains smooth with no big boulders to step over. This section shifts around upon the mountain with a few switchbacks as it takes you higher upon the mountain top. There are a few look out points, where you can pull over to take a break to catch your breath and take in the view. Each lookout keeps getting better and better as you advance higher along the trail. Once you’ve hit the first mile marker which will be around the third lookout, the main challenge of this hike and the steepness dwindles down. Now, don’t get me wrong, there will still be sections where you incline but it will not be as intense as what the first mile was. From the one mile point, the trail turns inwards and goes deeper into the middle of mountain range. This means that at times, you will lose direct sight of Tom’s Thumbs and instead have amazing views of the inner heart of the McDowell Mountains. The desert landscape completely transforms from that of the first mile. Oddly placed boulders await you, in designs that feels as if you are in a cartoon. 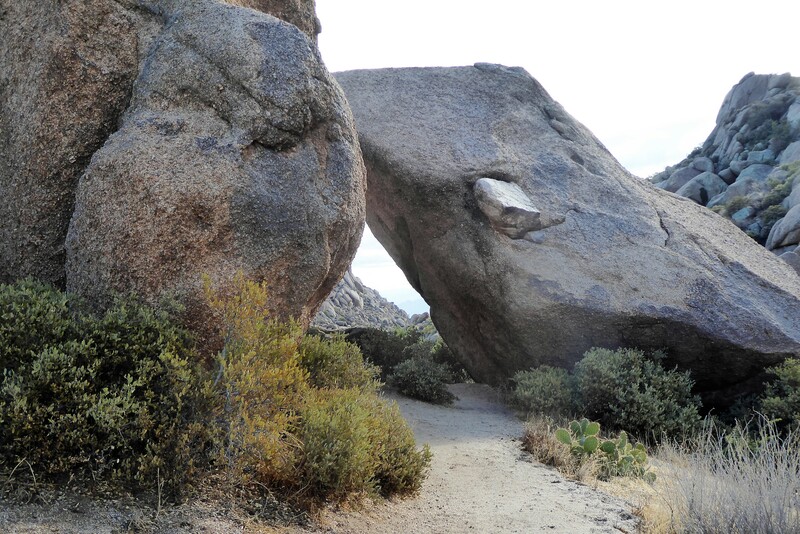 The trail dips down into washes, guides you back up and curves around so many of these wonderful rock formations that only hikers get to experience. Needless to say, this section of the trail is a good time! It’s easy to even forget that you came here to get a close and personal view of Tom’s thumb, until you turn a corner and get a glimpse of it in between some bigger rocks. It’s at this section, towards the base of Tom’s Thumb where there are a few areas the dirt path becomes a little rockier and you have to step onto a few big rocks. This doesn’t require scrambling or anything of that nature, it’s just a few actual bigger steps on this otherwise smooth path. Tom’s Thumb is waiting just beyond these rocks you’ll walk over. Once around these bigger rocks, there is lays! Tom’s Thumb is right in front of you waiting you to walk up towards it and touch it. As you look out at the view, you’ll be able to see the parking lot and the beginning of the trail where you were standing not so long ago! It’s truly a sense of accomplishment and beauty being up and looking down.